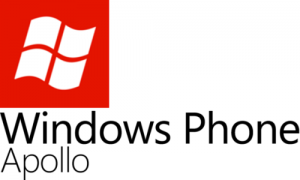 Microsoft introduced the basic features of the upcoming Windows Phone 8 Apollo in Windows Phone Summit. The new Windows Phone 8 will support multi-core processors, more screen resolutions (800 x 480 / 15:9, 1280 x 768 / 15:9, 1280 x 720 / 16:9), microSD slots with the ability to install applications from them, integration of Internet Explorer 10 (with HTML5 rendering), native NFC chips and related functionality (such as Wallet), while the application development platform will be common with Windows 8 so that developers can transfer applications without much effort (and also from Android and iOS). Moreover, the new version will include a pre-loaded Nokia Maps application with offline support, data from NAVTEQ and turn-by-turn guidance which will continue to operate in the background. This means that the Lumia Windows Phone smartphones will lose the exclusivity they had on this area up to now . Continuing with the new features of Windows Phone 8 Apollo, there will be full integration of VoIP functionality, not only Skype !, with Microsoft claiming that calls received from the VoIP service will not have any difference in quality from normal phone calls. VoIP can also work in the background. Therefore, developers can create their own implementation of VoIP. Also the “Speech” functionality will be very useful (something like Siri or S Voice) which can also be added to any application for voice commands. The Start Screen includes Live Tiles with the difference that the user can change their size (double wide, medium, small) to have even more information on the Home screen, more color choices and of course the ability to move things around on the screen. A new feature that will utilize the NFC chip for devices with Windows Phone 8 will be the “Tap + Send”, where users will simply touch two devices and share contacts, photos, videos, etc., but also play a double game ! Great weight has been given to gaming, with Microsoft bringing the award winning Havok game engine to the Windows Phone 8 device, and made agreements with leading mobile gaming companies to further enrich the Marketplace (surpassed 100,000 applications faster than any other application store) with excellent games like Asphalt 7, NOVA 3, Words With Friends and Draw Something. Those who have a device with Windows Phone 7.5 will not be able to upgrade to Windows Phone 8 or use applications that will be written for the new version. Microsoft offers the Windows Phone 7.8 upgrade that includes the new Start Screen.